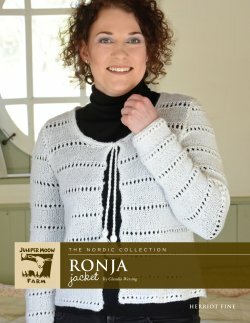 Check out some of the garments & designs found in Herriot Fine - Ronja Jacket. S (M, L, XL, 2X) FINISHED MEASUREMENTS To fit bust: 33 (37, 41, 45, 48¾)“/84 (94, 104, 114, 124)cm. Actual bust: 35½ (37, 43¼, 45, 48¾)”/90 (100, 110, 120, 130)cm.